This was the first issue of a four-issue mini series in which each member of the 4 gets their own solo issue. All for 99 cents! 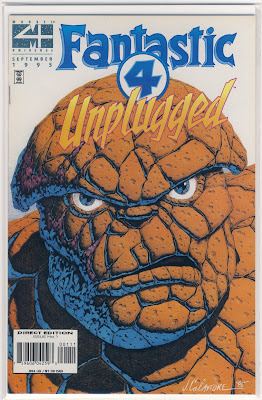 This issue is obviously The Thing's issue and he ends up doing battle with a Super-Adaptoid which you might be too familiar with but is one of Marvel's earliest villains.